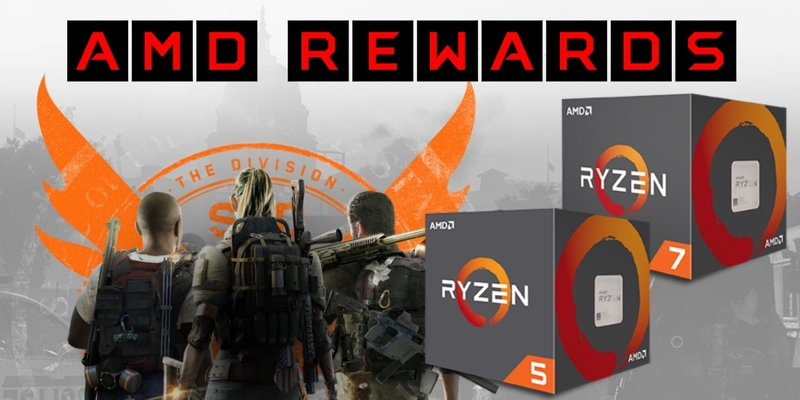 For a limited time and while stocks last get yourself awesome Ryzen CPU from the select range and you can register to redeem a Tom Clancy’s The Division 2 game bonus! The Division 2: Lead a team of elite agents into a post-pandemic Washington DC to restore order and prevent the collapse of the city. Lawlessness and instability threaten our society, and rumours of a coup in the capital are only amplifying the chaos. All active Division agents are desperately needed to save the city before it’s too late. You are a member of the Division, an elite group of civilian agents charged with being the last line of defence. With DC at risk, it’s time to gear up and use your unique skills to take on this new threat! We loved the original Division and can’t wait to run, gun and roll around like crazy! If you’re gearing up with one of these new Ryzen CPU or Gaming PC featuring one inside you’re in for a treat! Looking specifically at the games, all are soon to be released, so as I write this it’s more accurately described as a pre-order bonus – but the games are awesome! THE DIVISION 2: The city calls on us yet again to run, gun and diveroll like crazy in a bid to save Washington D.C. which is on the brink of collapse. Lawlessness and instability threaten our society, and rumours of a coup in the Capitol are only amplifying the chaos. All active Division agents are desperately needed to save the city before it’s too late. Unlike anything before it, The Division 2’s Washington D.C. is a 1:1 representation of the real city, making the game world more authentic than ever. The game’s map offers up-close-and-personal views of landmarks, natural landscapes, neighbourhoods, and enemy hideouts. RESIDENT EVIL 2 REMAKE: The original Resident Evil 2 was released in 1998 and since then has sold almost 5 million copies. The action game centred around rookie cop Leon Kennedy and college student Claire Redfield, as they fought to survive a mysterious viral outbreak within Raccoon City. The 1998 original was hailed as a gaming masterpiece and propelled Resident Evil into mainstream pop culture and the entertainment you know today… The horror, tension, characters and twisted narrative that made this one a survival horror masterpiece that captivated the world, returns reimagined in January 2019, with the characters, environments and story all been rebuilt from the ground up – promising us a truly terrifying world that feels both nostalgic and new! DEVIL MAY CRY 5: Legendary DMC action returns and it’s made all the more stylish by the power modern gaming has to offer! With the Devil May Cry series boasting over 16 million sales worldwide, our latest adventure is set several years after the Order of the Sword incident with an unusual phenomenon suddenly appearing in Red Grave City. A gigantic tree pierces through the surface in the middle of town, attacking with roots that drain the poor citizens of their blood. Now Nero must bring his stylish destruction down on fiendish foes and show off his new demonic powers! The process for registration and redeeming your games hasn’t changed much, but you’ll still need to grab your AMD Rewards Key from the retailer who is hosting the competition so let us know if you get stuck!